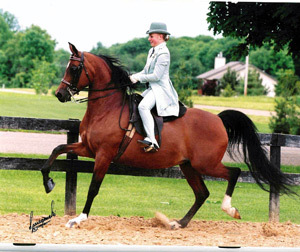 With heavy hearts we mark the passing of our beloved Rhythm and Blues (Percussion x Bint Buena Suerte), 3/3/1982---2/21/2011. 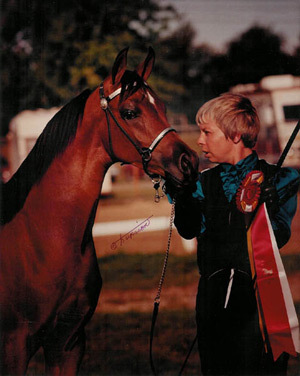 Her show career spanned 21 years: she won her first championship as a weanling, and her last was the Region 13 Park AOTR Championship with Stephanie in 2002, when Stephanie was 14 and Rhythm was 20. 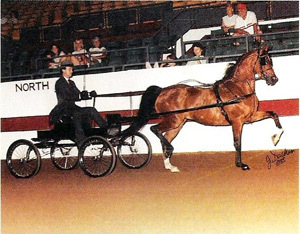 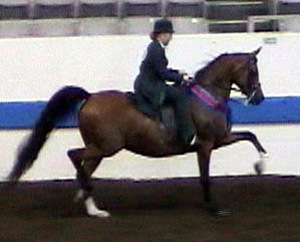 Rhythm had Regional Championships in Park and Formal Driving with Peter Stachowski as a young mare, and she came out of the broodmare band for a second career in which she and Stephanie had Regional wins in Park and English Pleasure as well as a Youth Nationals Top Ten (3rd) in Park. 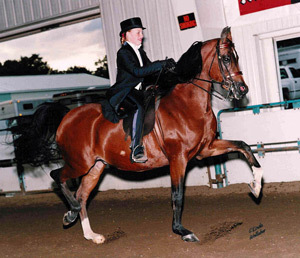 She will reign forever in our hearts, and lives on in our breeding program. 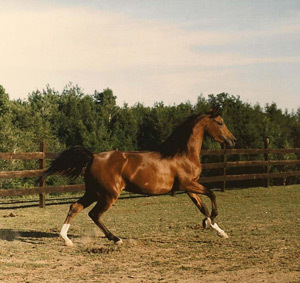 We fondly remember the good times we shared.